Before the release of Star Wars Battlefront back in 2015, select PC players were able to try out the game before anyone else thanks to the game’s alpha. With Star Wars Battlefront II, however, it seems like PlayStation 4 and Xbox One owners will be getting a chance as well. 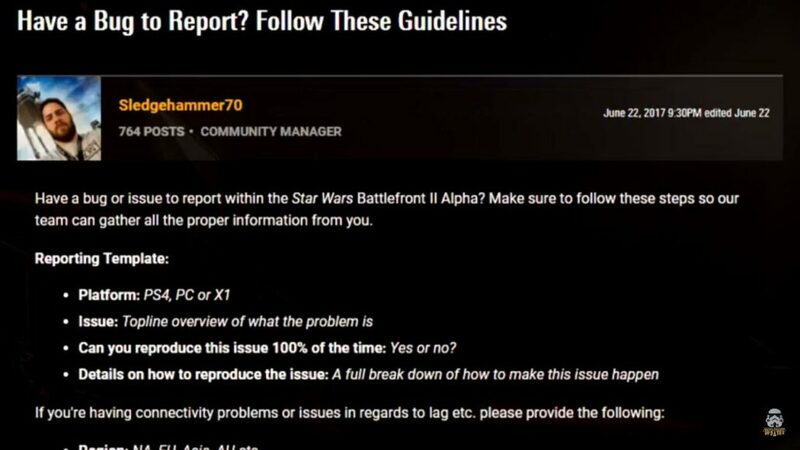 Recently, Star Wars Battlefront Community Manager Sledgehammer70 wrote a post on the Star Wars Battlefront II official forums asking players to report bugs found in the game’s alpha. In the Reporting Template, PS4, PC and Xbox One are mentioned. The original post can no longer be found at this time, but reddit user CaptainPhantasma21 managed to capture a screenshot of it. Star Wars Battlefront II is going to receive plenty of content after launch. Better yet, all content will be free for all players. Every player who owns Star Wars Battlefront II will have access to the same iconic characters, planetary conflicts, sleek starfighters, and epic space battles throughout the entirety of the post-release support period. This starts with the Star Wars: The Last Jedi Season coming this December, where all Star Wars Battlefront II players will get access to Finn, Captain Phasma, the new planet Crait, and more. These new heroes will come with new Star Cards as well. 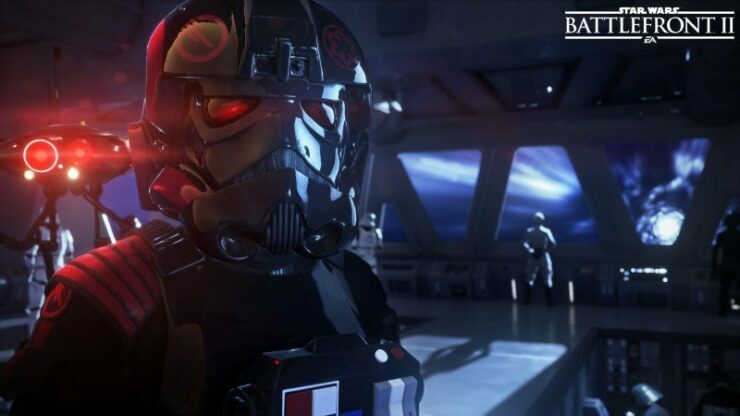 Star Wars Battlefront II players will also be able to customize their favorite heroes and classes using Star Cards, which come in four rarities: Common, Uncommon, Rare, and Epic – all of which can be earned through play. Completing the in-game quests and challenges, taking part in events, and opening Crates can all grant Star Cards, which allow you to further customize your trooper, hero, and starfighter abilities. Star Wars Battlefront II launches on November 17th on PC, PlayStation 4 and Xbox One.